Accidents happen resulting in serious injuries or even death. Victims face all types of long-term catastrophic medical issues such as traumatic brain injuries, orthopedic injuries, and spinal cord injuries. These accident claims demand the highest level of skill and experience. Our personal injury team has over 65 years of collective legal experience representing clients across the state of Michigan. We have recovered millions of dollars in cases involving motor vehicle accidents, recreational vehicles, bicycles, and trucks. Our team will take the time to thoroughly explore your case in order to understand all the key legal, medical and economic issues. We will identify your rights, provide an overview of the statutes of limitations and explain the court proceeding process. Registered Nurse Paralegals work with us to understand the full extent of your injuries. In addition, our personal injury attorneys collaborate with the firm’s employment, tax, and estate planning attorneys to ensure you are fully compensated for the loss of earning capacity and other economic damages. In short, you will have a multi-disciplinary group of lawyers working for you to achieve the best possible result. We offer a complimentary initial consultation and our fee structure is contingent upon the recovery that we secure for you. 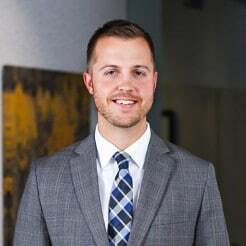 To learn more about our personal injury legal services or to speak with an attorney, connect with us below or call Stephen at 616.233.5155.